“I know you must make many people happy every day. I’m glad I had my day. Thanks again. Thank you and your fine staff for assisting with our recent meeting at Pebble Beach. 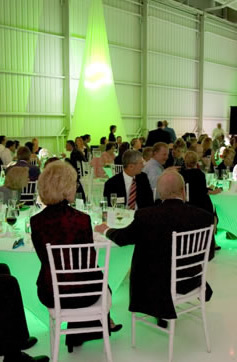 Partnering with Premiere Events several years ago has laid the foundation for many successful Del Monte meetings and conferences. I've had the fortune to work with a dedicated team of professionals who are as vested in our meeting's success as I am. The spirit and dedication of Premiere Events' staff are exemplary. Again, many thanks. I look forward to working with you in the near future. I know that I said this to you in person, but I can't say it enough times, so: Thank you a thousand times over for helping us accomplish the impossible Saturday night. It really was the impossible. But we really accomplished it. Lots of people, with enormous talent and equal enthusiasm and devotion, contributed to this project. But it really began with your refusal to tell me that my aspirations and expectations were absurd. And it continued with the great group of people you helped to bring on board. It would be a mistake to say that everything was easy. But nothing worthwhile ever is. And, at least from where I sit, this was far more than worthwhile. It was spectacular. I assume that you may not get this message until you wake up two or three days from now. You have earned some rest and I hope you get it. But, whenever you do get it, be assured that I will still be basking in the fond memories of Bar Men, and I will still be deeply grateful, as always, to you and your colleagues for their assistance, their support and their good cheer.